He also noted deep concern over the NHMRC’s use of arbitrary and scientifically unjustifiable criteria in its review of homeopathy released in 2015, stating that India would have gladly shared their wealth of experience and knowledge in this area – if only it was asked. 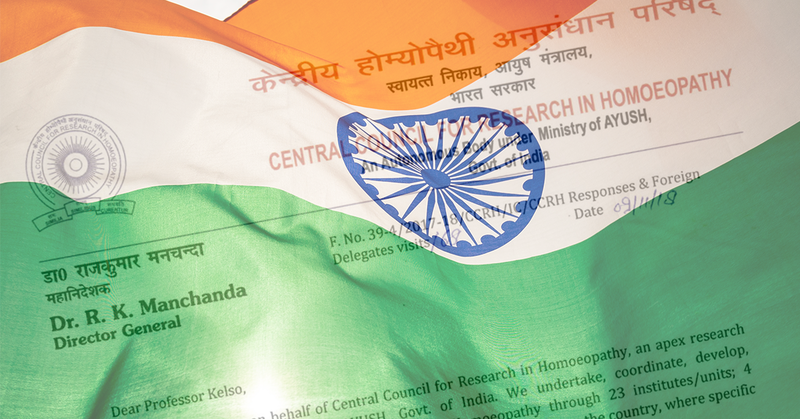 In India over 150 million people use homeopathy in daily healthcare, delivered by around 300,000 medical practitioners in primary healthcare settings, including hospitals. Similar reviews of other natural therapies conducted by the NHMRC have been used as justification by the Australian Government to remove Private Health Insurance rebates for 16 natural therapies – despite growing and more up-to-date evidence showing their effectiveness (for example Tai Chi and Naturopathy), as well as other countries incorporating them into healthcare and medical bodies developing clinical practice guidelines recommending their use in common ailments. Released in 2015, the Review of the Australian Government Rebate on Private Health Insurance for Natural Therapies (conducted by the NHMRC) did not include any studies published post 2013 and did not assess any original papers. In India, traditional medicine is used by hundreds of millions of patients in primary healthcare settings and is fully supported by the Government. The Ministry of Ayurveda, Yoga and Naturopathy, Unani, Siddha and Homoeopathy (AYUSH) is responsible for ensuring the optimal development and dissemination of AYUSH systems of health care, including education and the establishment of research centres featuring a growing number of international partnerships. This integration of traditional and conventional healthcare gives Indian citizens access to a ‘cafeteria-style’ approach to healthcare. India is the world’s second most populous country (1.36 billion), second only to China (1.39 billion). Together, India and China account for around 40% of the world’s population and both countries have invested in forward-looking programs to integrate their rich traditional medicine systems in healthcare, alongside conventional medicine. Accordingly, the CCRH has recently signed a number of international Memorandum of Understandings (MOUs) to foster fundamental, basic and clinical research in the field and seeks to expand such initiatives further. Dr Manchanda’s (CCRH) full letter to the NHMRC CEO can be read here.